An island near Vancouver, B.C. has designed its own form of currency. 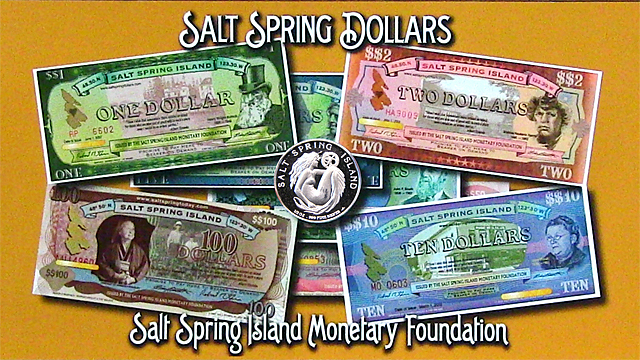 Salt Spring Island’s paper dollars and coins look and feel beautiful. For the Island’s tourists, they’re genuine souvenirs. 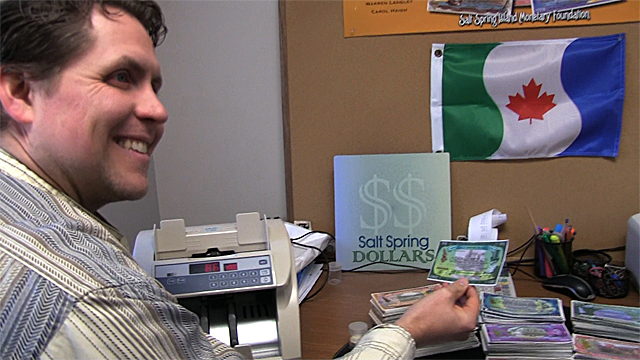 Michael Contardi, President of the Salt Spring Island Monetary Foundation, explains that they’re widely accepted by local businesses and banks, and easily redeemed. They’re purchased using national (Canadian) dollars and are spent at many businesses which accept them, including grocery and hardware stores.